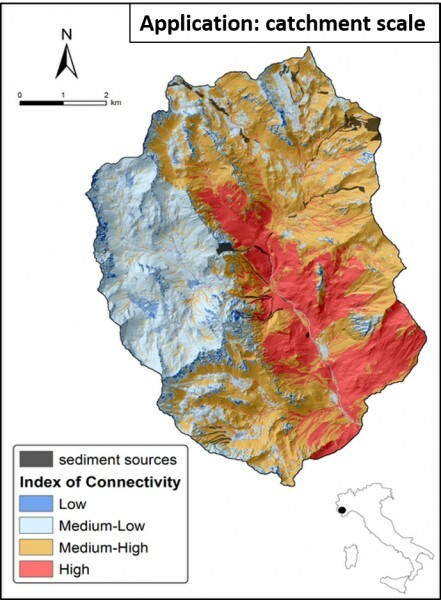 SedInConnect is a stand-alone application for the computation of the Sediment Connectivity Index (Cavalli et al., 2013, Crema et al., 2015). 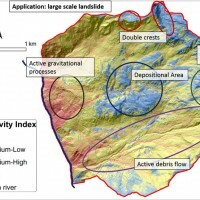 The output of the applied model is a topography-based index aiming at evaluating the potential connection between hillslopes and features acting as targets (e.g., catchment outlet, roads) or sink areas (lakes, retention basins) for transported sediment. The index is composed by an upslope and a downslope component. The first represents the forcing for downward routing of the sediment potentially available upslope and the latter considers the flow path length that a sediment particle has to travel to reach the nearest target or sink. In both components, two weighting factors are used: the slope and a proxy of the impedance to sediment fluxes. Results can be then interpreted taking into account the forcing expressed by the active processes occurring at catchment scale. The overall goal of this tool is supporting the analysis of sediment connectivity, facing the challenge of widening, as much as possible, the users’ community among scientists and stakeholders for an effective and optimized landscape management. Cavalli, Marco, Sebastiano Trevisani, Francesco Comiti, and Lorenzo Marchi. 2013. 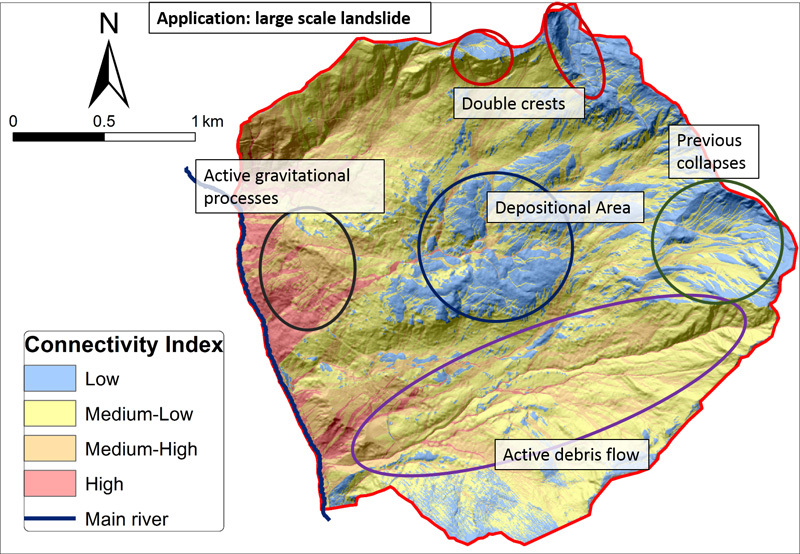 “Geomorphometric Assessment of Spatial Sediment Connectivity in Small Alpine Catchments.” Geomorphology 188 (April): 31–41. Crema Stefano, Luca Schenato, Beatrice Goldin, Lorenzo Marchi, and Marco Cavalli. 2015. 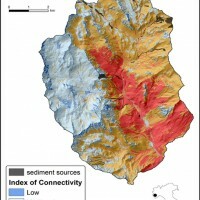 “Toward the Development of a Stand-Alone Application for the Assessment of Sediment Connectivity.” Rendiconti Online Della Società Geologica Italiana 34 (March): 58–61.